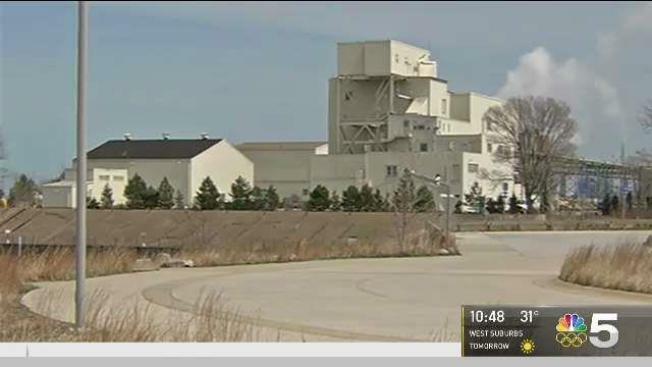 Chicago officials plan to take legal action Monday against U.S. Steel for a pair of chemical spills that have dumped pollutants into a tributary of Lake Michigan, one of which officials say was never reported to the public. Mayor Rahm Emanuel said the city intends to send a Notice of Intent to sue the plant, a necessary first step before filing the lawsuit. The company has 60 days to respond before the city is legally allowed to file. “We will not stand idly by as U.S. Steel repeatedly disregards and violates federal laws and our natural resources,” Emanuel said in a statement. According to the city, U.S. Steel has allowed toxic chromium, the pollutant made famous by the film “Erin Brockovich,” to leak into a Lake Michigan tributary on two separate occasions this year. The leaks spilled a total of nearly 300 pounds of hexavalent chromium from the company's plant in Portage, Indiana into the Burns Waterway. The most recent leak occurred in October, when almost 60 pounds of the substance found its way into a stream near U.S. Steel’s Indiana plant. That spill, Chicago officials said, was never made public. "It didn't happen once, it happened twice," Emanuel said in a press conference Sunday. "When it happened, they didn't report it and they did it in a premeditated manner. They made a conscious decision not to report it." U.S. Steel said the Oct. 26 spill "did not pose any danger to water supply or human health" adding that the company "promptly communicated the issue to the Indiana Department of Environmental Management." The city is not only planning to sue the company, but Emanuel also took aim at President Donald Trump's administration and the Environmental Protection Agency, saying they haven’t acted to discipline U.S. Steel for the leaks. Despite the reported leaks, Emanuel said the city’s drinking water remains safe.